Brexit: Theresa May asks for a 'short' delay - but will she get it? Theresa May has written to European leaders to ask for a "short delay" to when the UK leaves the European Union (EU). Brexit - the process by which the UK plans to leave the club of countries called the EU - is due to happen on 29 March 2019. However, after lots of debates in Parliament, MPs have been unable to come to an agreement on a way for this to happen. 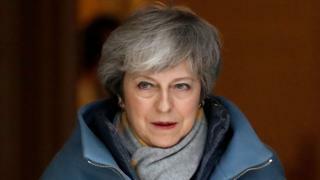 But the prime minister told MPs on Wednesday that she was "not prepared to delay Brexit any further than the 30 June". What could happen next with Brexit? Any delay will have to be agreed by all 27 EU member countries and Mrs May is heading to Brussels on Thursday to discuss the matter with fellow leaders. 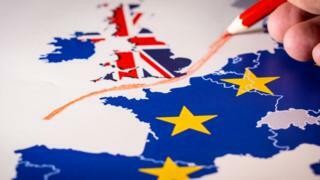 But although many people want a delay to make sure that the UK doesn't leave without any sort of deal, many others don't support a delay as they feel it goes against the whole point of the referendum. In 2016, adults in the UK voted to leave the European Union. However, not everyone was agreed on the best way of doing that. Since then Theresa May has been trying to work out a way forward whilst balancing different aims, like protecting the UK economy, opening future opportunities and keeping the MPs who would have to agree to vote for it happy. We want your reaction to what's been happening. Leave us a comment by clicking here. 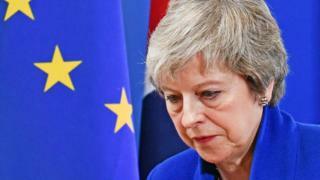 Prime Minister Theresa May had arranged a deal with European leaders but MPs have rejected it twice. Many people want changes to be made to it - particularly around issues involving the border between Northern Ireland and the Republic of Ireland. After a series of votes in March, they voted in favour of the prime minister asking for a delay. 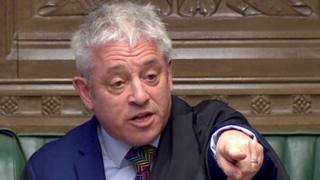 Earlier this week, the Speaker of the House - who is in charge of how things are organised in Parliament - said he wouldn't allow a third vote on Theresa May's deal unless it is changed in a significant way. A spokesperson from Downing Street says Mrs May won't be asking for a long extension when she writes to the EU and blamed MPs for not voting for her deal, saying the public "are fed up with Parliament's failure to take a decision and the PM shares their frustration". The PM is writing to the EU to ask for Brexit to be postponed. Mrs May will travel to an EU summit in Brussels on Thursday to discuss the options. All 27 EU members have to agree to any extension proposed. If an extension is agreed, Mrs May will probably try again to get her deal through Parliament. Politicians will also get a vote on any delay. The UK leaves the EU on 29 March with or without a deal, unless a delay is agreed. What do you want to know about Brexit? Everyone(and I mean everyone) is talking about Brexit! It seems like there is nothing else to talk about!